Some types of content can get away with being priced higher than the average. Educational, instructional, and fitness content indexes at a higher price point than a feature film. 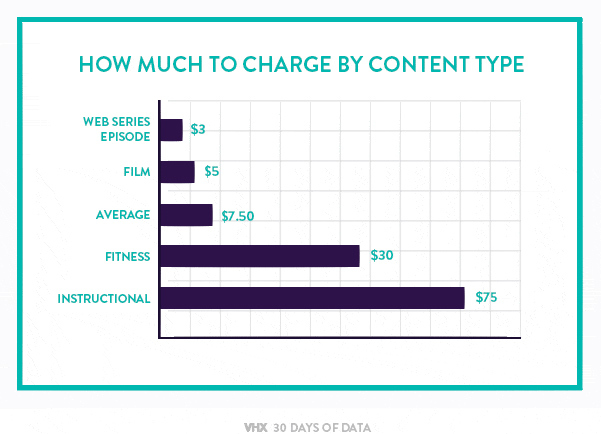 Short films and web series are typically priced lower than average. The key: Does your audience know what they're getting? With something like yoga fitness videos, people know that they're going to get a yoga workout. But with a film, it's harder for someone to predict if they'll like it. So in that case, a lower price helps incentivize purchases.